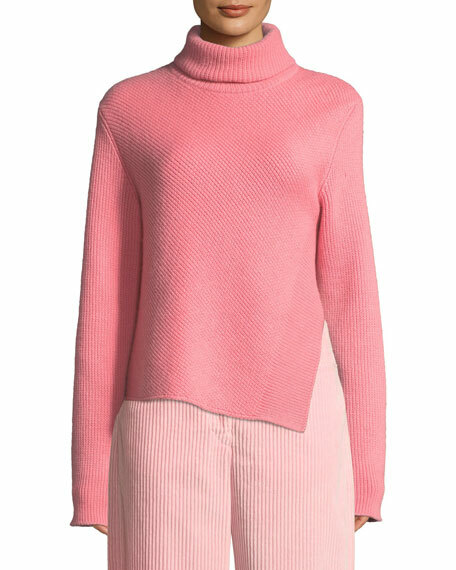 Tom Ford fine cashmere top. Exclusively ours. 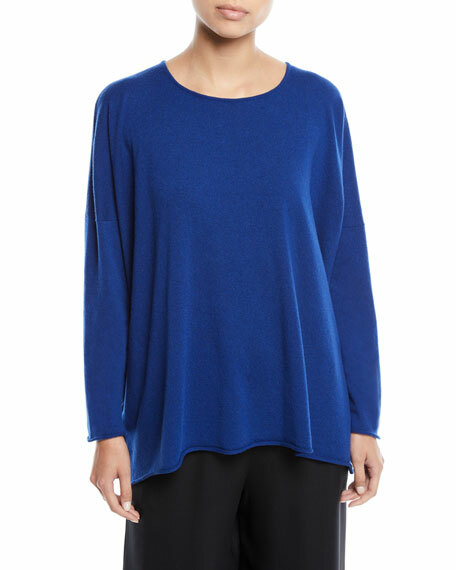 Eskandar cashmere sweater. Raw edge cuffs and hem. Bateau neckline. Dropped shoulders. Long, slim sleeves. Relaxed fit. Made in UK. Model's measurements: Height 5'10"/177cm, bust 32"/81cm, waist 24.5"/62cm, hips 36"/91cm, dress size US 2/4. Eskandar long cashmere sweater. Round neckline. Long sleeves. A-line silhouette. Relaxed fit. Raw-edge hem. Made in UK. Model's measurements: Height 5'11"/180cm, bust 32"/81cm, waist 25"/64cm, hips 35.5"/90cm, dress size US 0/2.